When it comes to finding a recommended vendor for your home project needs, look to our Luxury League partners. When you work with one of our affiliates, you are working with a trusted and reliable company that is highly capable of assisting you. Luxury League partners are advertising members, and this is a paid endorsement. Contact a Luxury League member for a direct referral. Horizon Bank believes banking should be built around your needs, not theirs. There’s no question that the banking world has changed. But one thing that hasn’t changed is their commitment to the communities where we live and work. With a variety of mortgage options, interim construction and lot loans, investment property financing, and more, their professionals will get you to the goal line. Call, email, or swing on by. First American Title Insurance Company facilitates real estate transactions by providing title insurance protection and settlement services for homebuyers and sellers, real estate agents and brokers, mortgage lenders, commercial property professionals, homebuilders and developers, title agencies and legal professionals to facilitate real estate purchases, construction, refinances or equity loans. Homegrown and locally owned, GARSC was born out of the need to provide quality Make Ready services for a large book of residential properties that they currently manage. Consistency and quality are what they strive to provide their clients with every day, no matter how big or small the task may be. 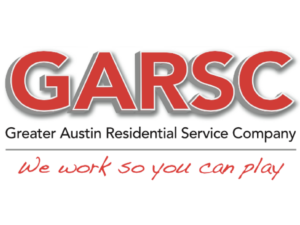 Their main focus includes maintenance, landscaping, painting and sheet rock, but if there is something that needs to be done in order to have your property move in ready, GARSC will get it done. A custom home is one you design, not a house someone is trying to fit you into. At Partners in Building, every home they build is one-of-a-kind, unique like you are. They don’t just build luxury homes, but homes that are customized to your taste and specifications. That’s what makes Partners in Building different than any custom home builder. They are experts at balancing your wishes with your budget. 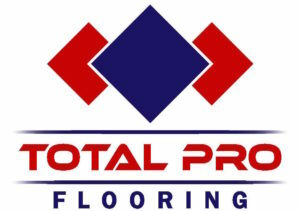 The team at Total Pro Flooring understands that every individual floor needs its own specialized maintenance and installation services, in order to guarantee the best possible results. They give great attention and detail to their infrastructures and the quality of their teams. From wood, tile, carpet, vinyl, to their specialized floor coating systems, there is no part in this process that goes overlooked. 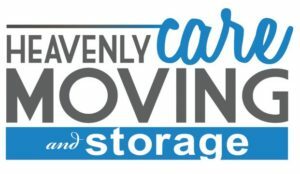 Heavenly Care Moving Services provides local and nationwide moving solutions with exceptional customer service and a commitment to doing what is right. A locally-owned family business, Heavenly Care Movers was created in 2004 to make a difference in Austin through their commercial and residential services, with a heart for seniors. Simply Sold has perfected the process of general contracting. They walk through your project and supply you with trusted subcontractors so you can avoid the hassle of finding and managing your own. Not only do they save you time and money with their own team of workers, but they also provide you with an on-site project manager who coordinates all the work being done on your project. Club One Concierge is Austin’s only lifestyle management company providing personal assistant and home management services to exceptionally busy clientele. New to the Austin area or just need help with everything? Whether it’s tactical, proprietary, or power of attorney, Club One Concierge is here to help. They are Austin’s best kept secret, yet most powerful resource.